Change the name of your class in a jiffy. 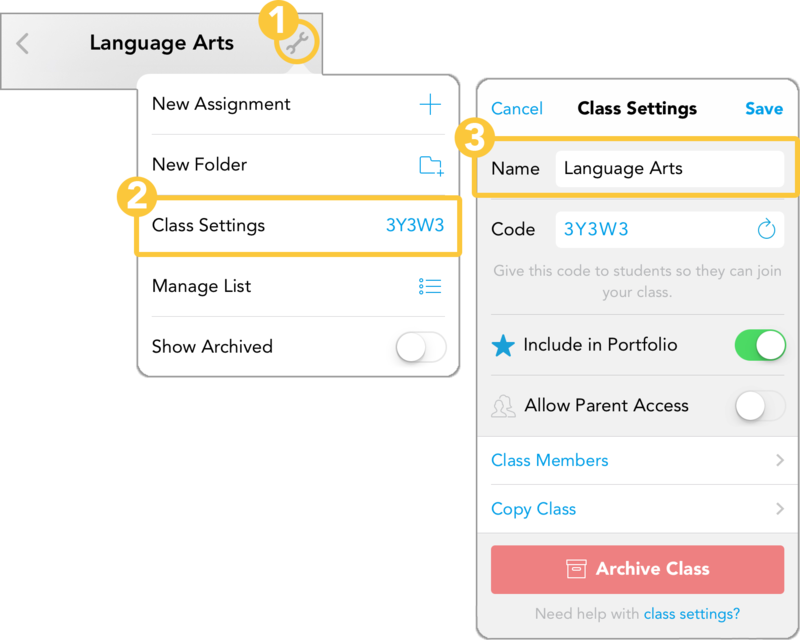 In Showbie, classes can be renamed at any time with a few simple steps. Renaming assignments is also possible. Learn how to rename assignments! You can edit class settings as well. Check out this guide to learn more. Looking to block someone from your class? Here’s a guide for all things blocking and unblocking.